Craft2.0 is tomorrow! If you are out in the Hutt between 11am and 3pm, try and call into the New Dowse and check it out. CraftFetish is up and running again. This cool site is an online community for NZ crafty peeps plus a marketplace a bit like felt or etsy where you can sell your creations. The Wellington Film Festival starts today. I was a bit disorganised and only bought my tickets this morning, but the good news is there are still tickets available for a lot of sessions. I finally joined Freecycle and got rid of our old compost bin (we upgraded to an Earthmaker a while back and the old one has been taking up room in the garden). I love the Freecycle concept and I'm looking forward to sending some more unwanted-but-still-usable stuff off to new homes. Sukin face wash. I think my search for an eco-friendly, organic, non animal-tested, foaming face wash that is also reasonably priced may have finally ended. This stuff smells great, foams really well, and is at least a third of the price of other similar products (Living Nature, Trilogy) that I've tried. Plus, the bottle is actually recyclable in NZ. 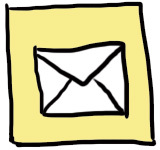 I've seen their range so far at Health2000, CommonSense Organics and Farmers. The Big Shwop - fantastic idea for refreshing your wardrobe, plus it's free and eco-friendly. 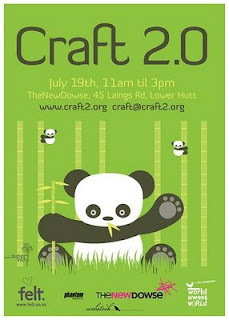 Have fun at craft 2.0 this weekend, I am really looking forward to the one here in Christchurch in August! I noticed you had joined freecycle. It's such a great group for giving and getting what you need.